Enough of these sudden temperature fluctuations already! 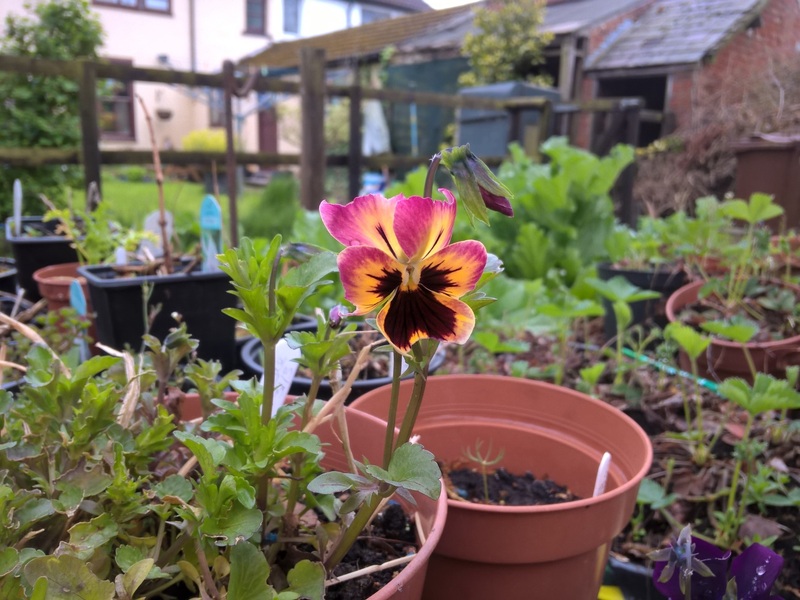 Categories: .... on growing your own | Tags: Food, germination, grow your own, Pansies, vegetable gardening, vegetables | Permalink. 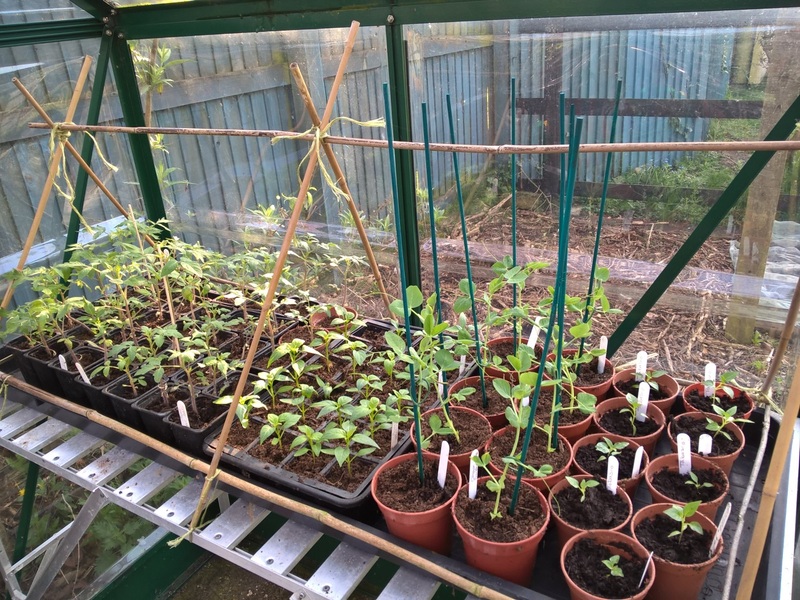 It has been 3 weeks since the Mudlets sowed the tomato, chilli and sweet pepper seeds and, for the most part, we have had a good number of seeds successfully germinate, resulting in a respectable quantity of seedlings standing tall across two propagators. 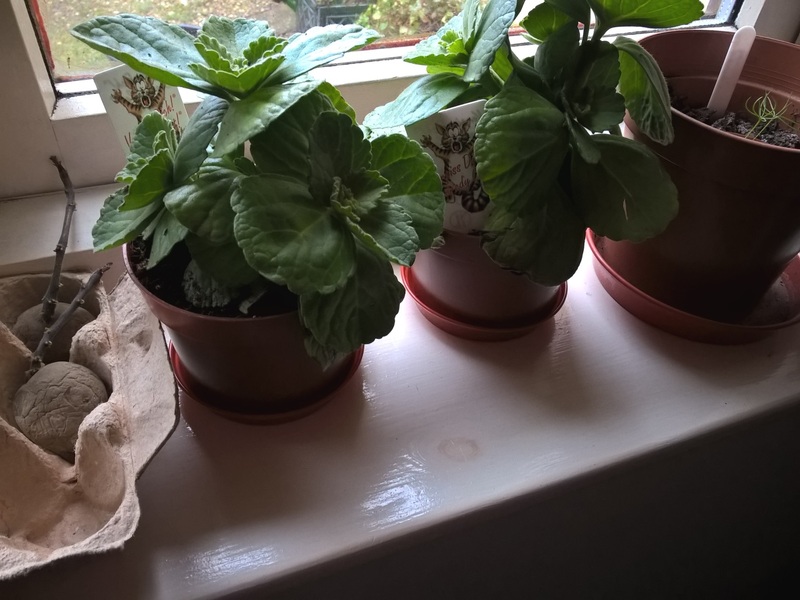 The propagators have been housed on two windowsills during the day but have spent the night-time on the kitchen worktops, near to the Rayburn, to keep warm and help with germination. It has been bitterly cold most nights which is why I have been moving the propagators away from the windowsills – it is quite surprising just how much cold air window glass can generate, rather like a greenhouse in reverse I guess. 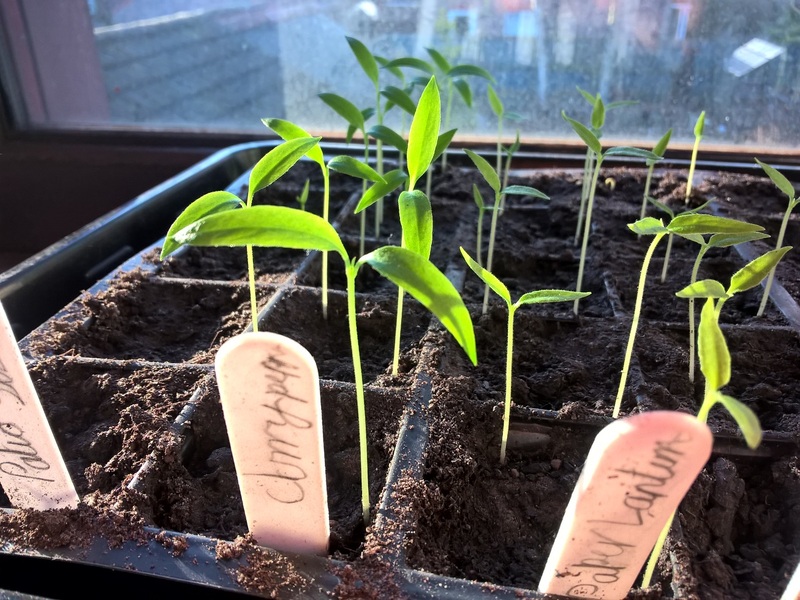 Categories: .... on growing your own | Tags: chillies, germination, grow your own, Hot Curry chilli, seedlings, tomatoes, vegetable gardening | Permalink. Butternut Squash seeds from a shop bought fruit. tell if they’ll be any good. 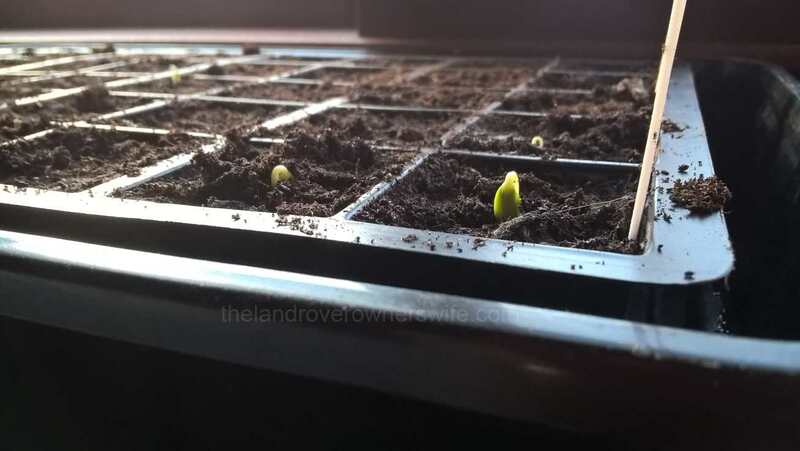 Categories: .... on growing your own | Tags: Butternut Squash seedlings, Food, gardening, germination, grow your own, vegetable gardening, vegetables | Permalink. 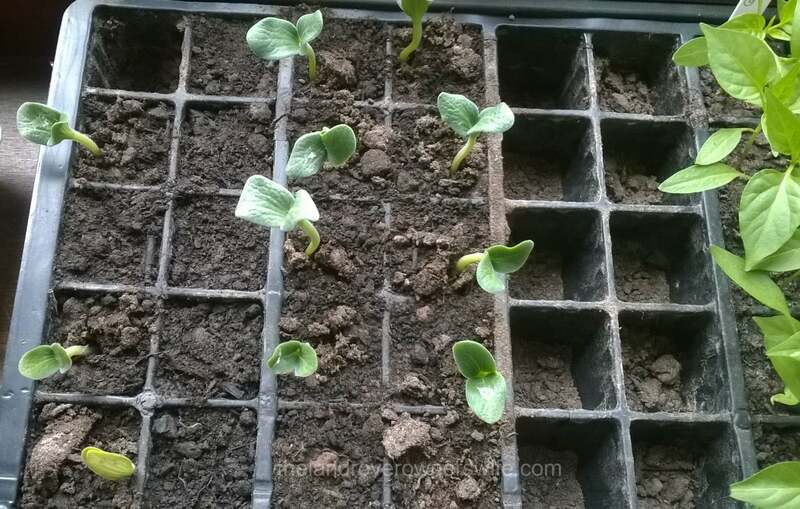 The nearest propagator houses the winter squash and pumpkin seeds and the other is home to the flowers and courgettes. 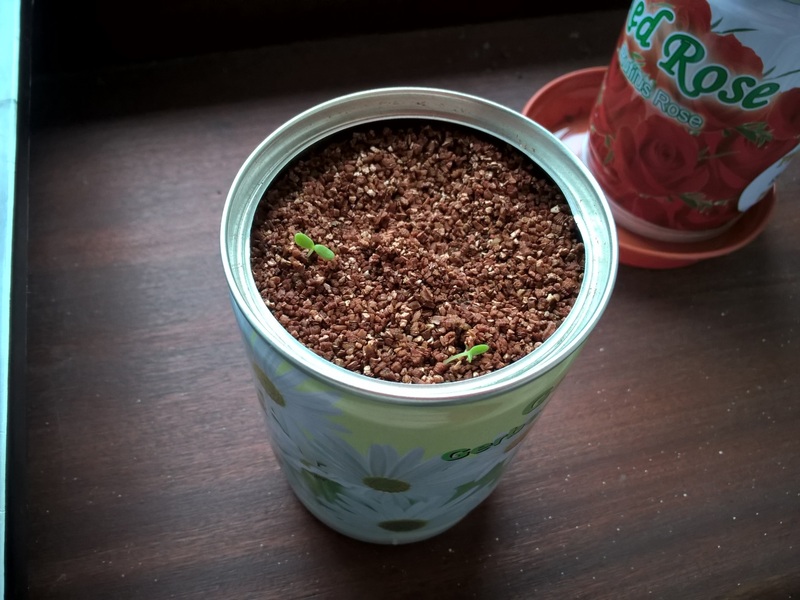 Categories: .... on growing your own | Tags: Food, gardening, germination, grow your own, Pumpkins, vegetable gardening, vegetables, Winter Squash | Permalink.